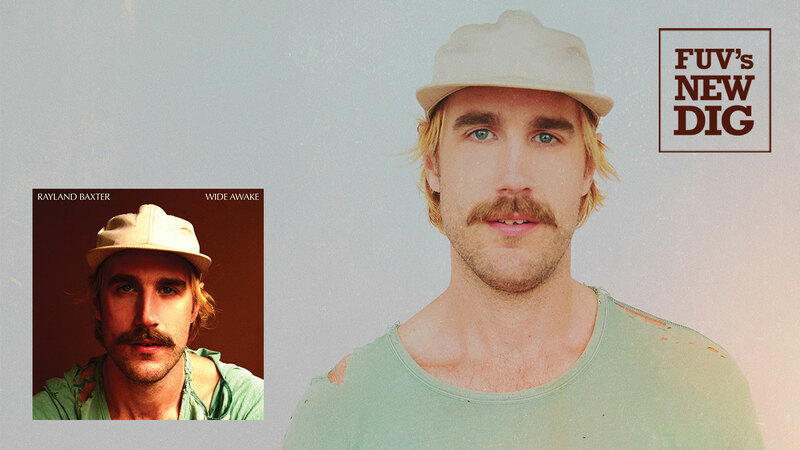 Rayland Baxter, a singer, songwriter and guitarist from Nashville, Tennessee, is poised to generate a lot of attention with his new, third album, Wide Awake. It's a smart collection of finely-crafted pop songs that gently draws upon styles and genres from decades past. Like a chef who combines simple ingredients to create totally singular dishes, Baxter has an uncanny ability to incorporate subtle references to tried-and-true influences, deftly molding these components into songs that take stock of the human condition and today's society. His lyrics are both personal and universal and are delivered in an earthy, engaging manner. The songs were written over the course of three months in the autumn of 2016, while Baxter was holed up in a recording studio, formerly an old rubber factory, in Franklin, Kentucky. The locale's desolate solitude was exactly what Baxter had been looking for: a secluded place where he could write all day, every day. Baxter wrote dozens of songs for what would become Wide Awake. In the crafty “Strange American Dream” and “79 Shiny Revolvers," Baxter vents, distressed with contemporary political landscape, but his mood is far lighter on the bouncy, playful “Casanova.” He's introspective about romance on the acoustic breakup song, “Without Me.” Another gentle track, “Let It All Go, Man,” closes Wide Awake with a “life’s too short” bit of advice. Character studies, like “Amelia Baker" and “Sandra Monica,” also pepper the album. Like finding Easter eggs, there are also discoveries throughout Wide Awake that allude to other artists like the Beatles, Dr. Dog, or power pop maestros Big Star. But Baxter doesn't ever lean too heavily on those fleeting references. Baxter recorded Wide Awake in California with a group of musicians that included drummer Eric Slick (Dr. Dog), guitarist Nick Bockrath (Cage the Elephant), keyboardist Aaron Embry (ex-Edward Sharpe and the Magnetic Zeros), and bassist Butch Walker, who also produced Wide Awake. Baxter is the son of session musician Bucky Baxter who played guitar, mandolin, dobro, and even keyboards for a myriad of musicians, like Bob Dylan, Steve Earle, and R.E.M. Quite nicely, he makes an appearance on his son's album too. Rayland Baxter is a gifted pop and rock songwriter with a pure, unadorned style. He knows how to get out of his own way too, allowing ideas to flow freely. On Wide Awake, inspiration takes its own path as Baxter cleverly blends the many colors of his multiple influences and inspirations. He emerges with a powerful pop album that adroitly tackles these complicated times. Listen to a new FUV Live concert with Rayland Baxter, taped at Rockwood Music Hall, on Thursday, July 26, at 8 p.m., EDT, also streaming at WFUV.org.